Twitter Feeds — Good or Bad? More than two years ago, I participated in a social media conference during which there was a live Twitter feed. As a speaker, I found it a bit distracting because there was so much chatter from the audience around the Twitter stream. The audience members were newbies. Twitter feeds provide real-time information during a conference. audience members tweeted. I can see if my messages hit home or if I need to further refine portions of the talk. As an audience member, I find the Twitter stream helpful. At a recent social media conference the speaker’s words generated an idea I wanted to capture. As I typed on my netbook, I realized I had lost the thread of the conversation. Not to worry, I just had to look up at the screen with the Twitter feed to see what key points I missed. audience found the information and either tweeted it or tweeted the link so that everyone else could follow-up. so this may be a good way to provide that exposure. What do you think about Twitter feeds during a seminar? It sounds like your group is going for it, but if it wanted to pilot the concept, it could tweet feed just the keynote and just a couple of select portions. Or try it at a regional event. At this point, I am a special events only tweeter. In addition to capturing information, tweeting is a great way to find interesting tweeters to follow, & I get some followers too, which is what social media is all about – providing mutual value. Thanks everyone for your comments. I’m hopeful we can make this happen in one or two sessions so that those who are ready to try it can and those who would prefer not to can attend another session. At the conference we’ll take time to explain what is happening. The key with anything new is to communicate, which as One Tall Poppy noted is indeed why we attend communications conferences. I’ve never seen nor experienced but sounds really cool! I say you should go with it as your last executive decision!! Cynthia, I may have been at that conference two years ago that you speak of. I was one of the newbies in the audience. 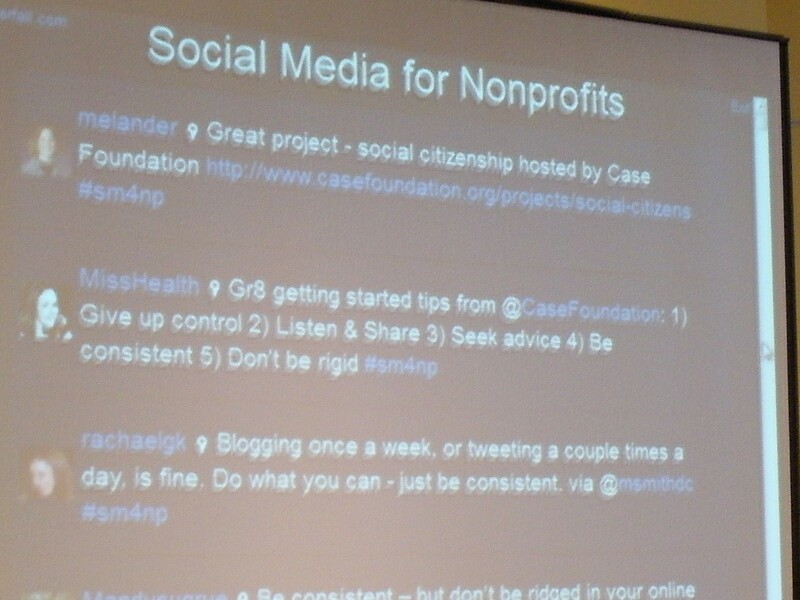 I still have mixed feelings about seeing the twitter feeds on the screen as you gave your presentation. However, I go to many meetings in which the members are staring down at their gadgets. They might as well share what they are thinking. I keep thinking, didn’t we come here to communicate?